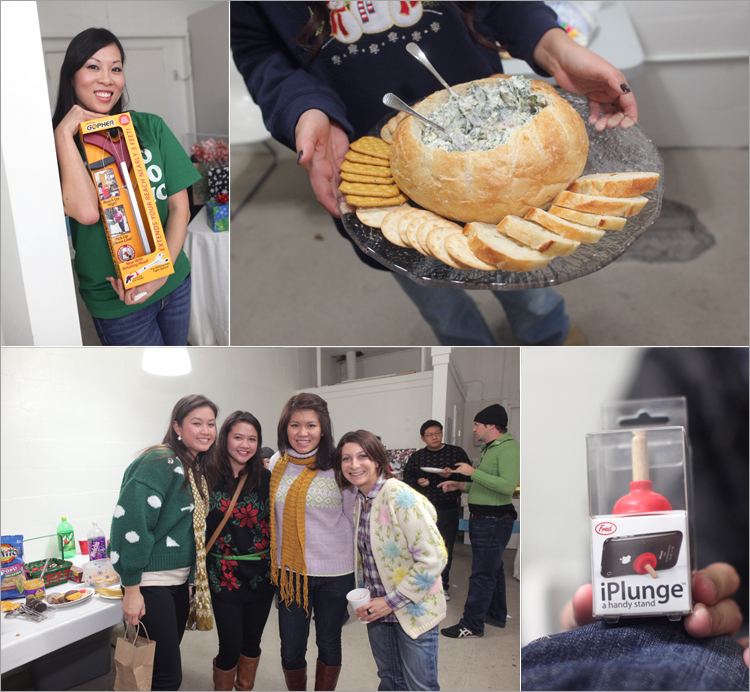 A few more pictures from the fun Ugly Sweater Party we had over the holidays at The Wedding Pantry. 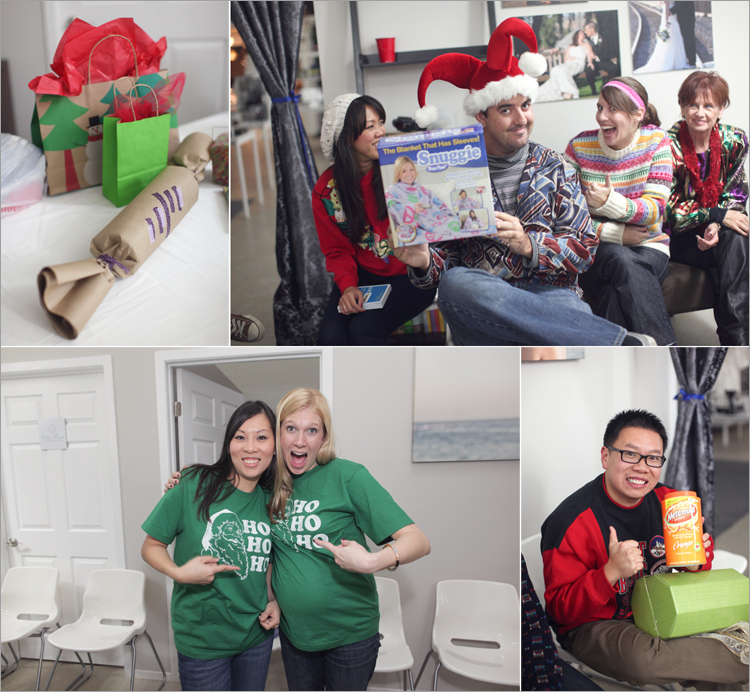 Hilarious gifts, yummy food, and crazy sweaters = a grand spanking good time! 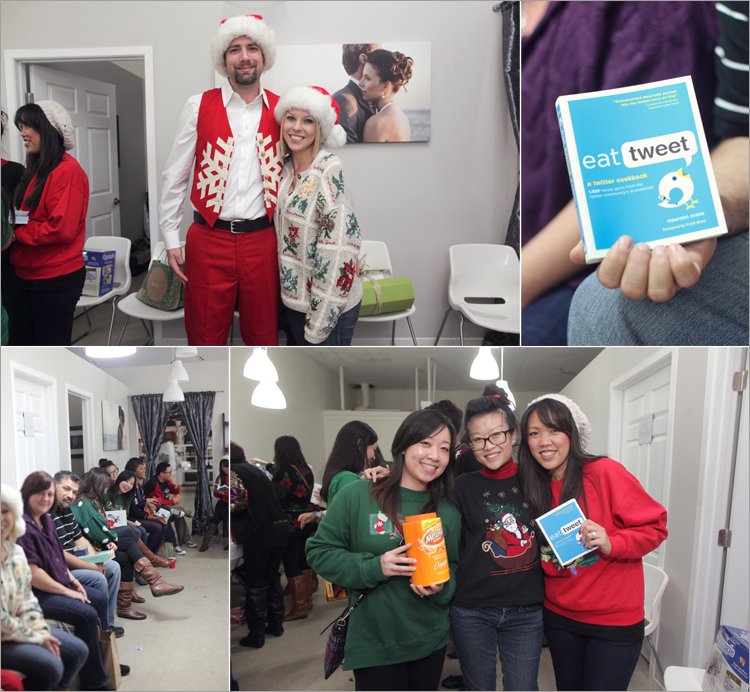 To see more photos from the party, head over to the Facebook album. what fun pictures!! 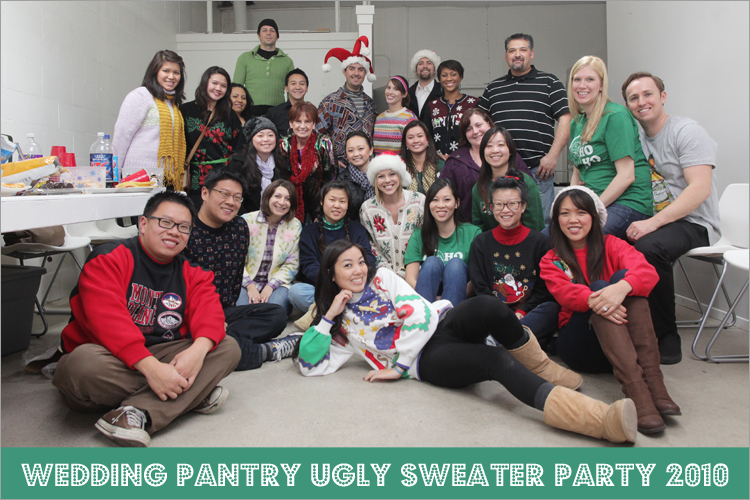 :) your ugly sweater totally rocks. my neighbor hosted an ugly sweater party, and people who showed up were way too self conscious and didn't follow the dress code!